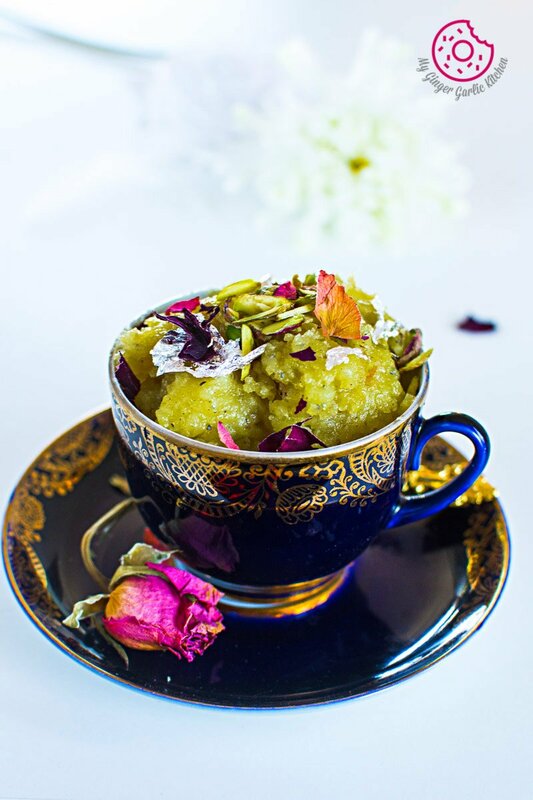 Aloo Ka Halwa | How to Make Potato Halwa. 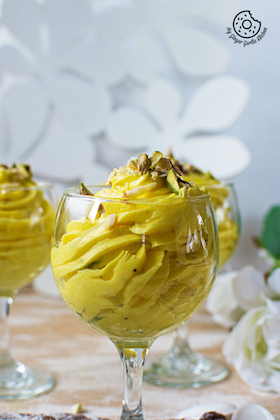 This is a very undemanding, easy and gluten-free dessert. I wasn’t very fond of Indian sweets when I was little. But that doesn’t mean that I didn’t eat them at all. I ate only a few Indian sweets and one of my favorite sweets was ‘Potato Halwa’. Potato is also known as ‘aloo’ in Hindi. 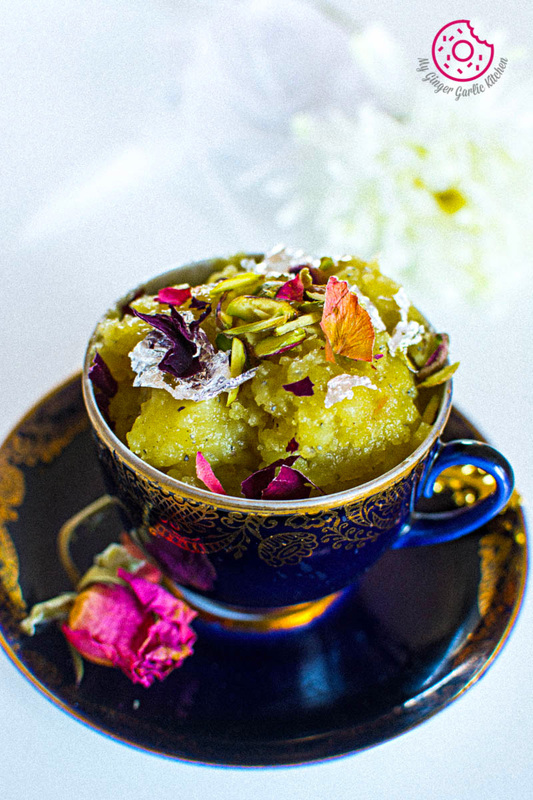 Thus the Hindi name for this dish is ‘Aloo ka Halwa’. During childhood whenever I got sick and I wasn’t in the mood of eating anything then this halwa always came as a rescuer. And this halwa prize-bit always worked with me. No matter how sick I was, I always tasted this potato halwa which my Mommy made for me. 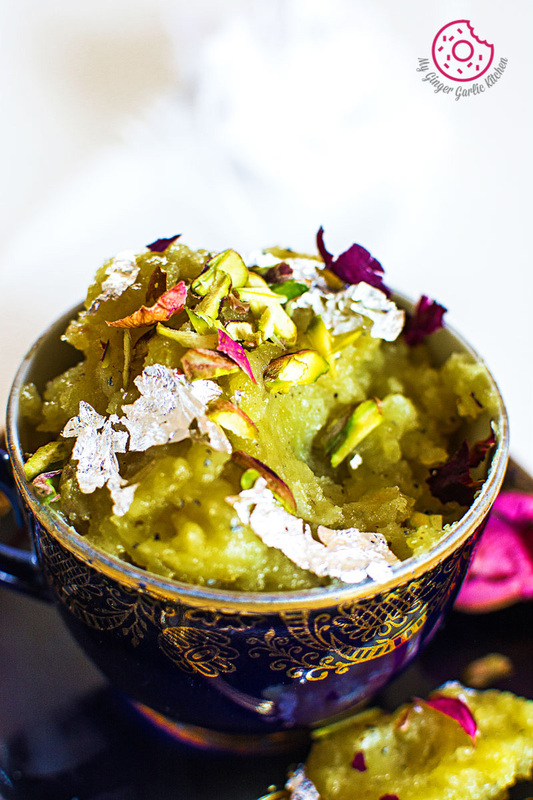 I still love this halwa, but I just don’t make it often. Mom made this halwa and I devoured it entirely. 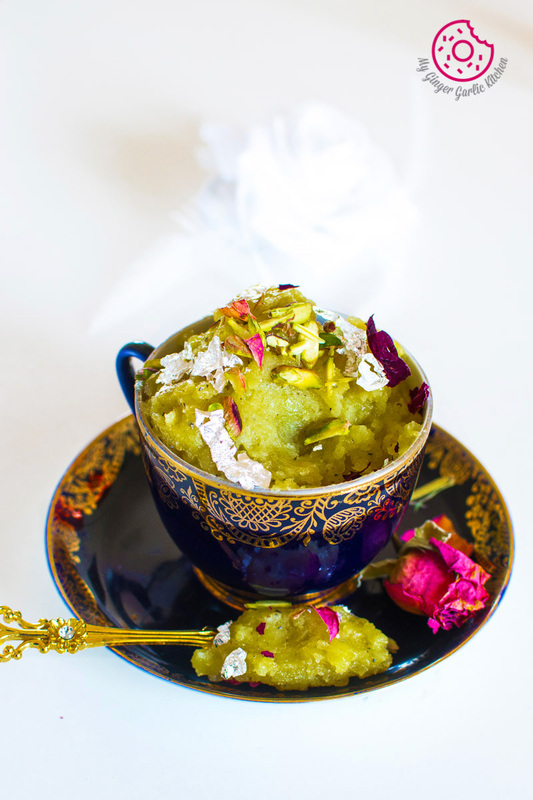 And when Mom fed halwa to Ado, she started dancing in joy right after the first spoonful of halwa touched her tongue. Mom: “Yes, of course. When do you want to eat it again”. Being a mommy myself, that was such a pleasant sight for me to watch that bonding between a grandmother and a granddaughter. I am sure Ado was also imprinting these beautiful moments in her life-story book to cherish them forever. You can make it in a jiffy if you have guests coming over. Or you can make it when you have sudden cravings for something sweet. This also makes a perfect falahari recipe during fasts. 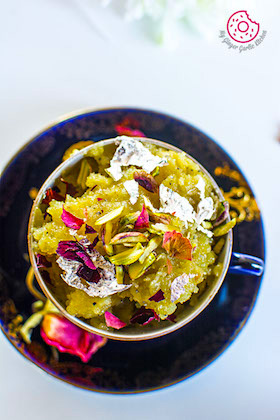 Preparing this halwa is very painless and it only requires a few ingredients: ghee + boiled and mashed potatoes + milk + sugar + cardamom and some chopped nuts. 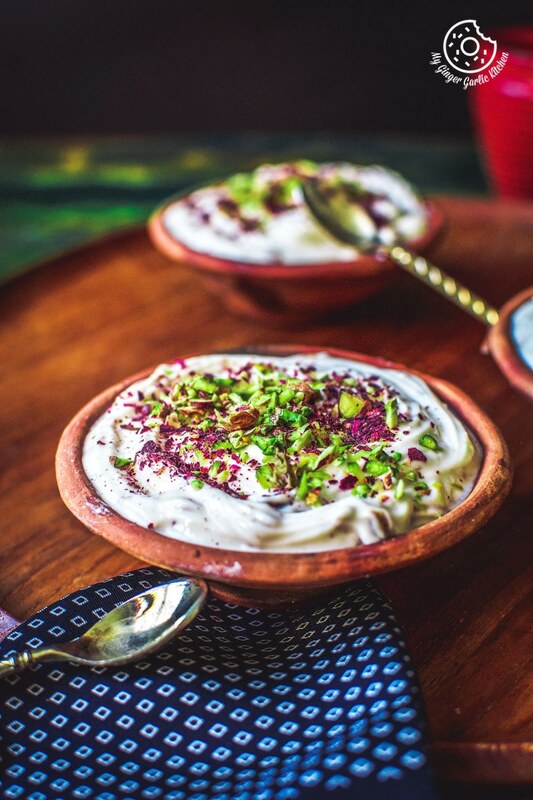 Aloo Ka Halwais a very undemanding, easy and gluten-free dessert is prepared using handy ingredients . 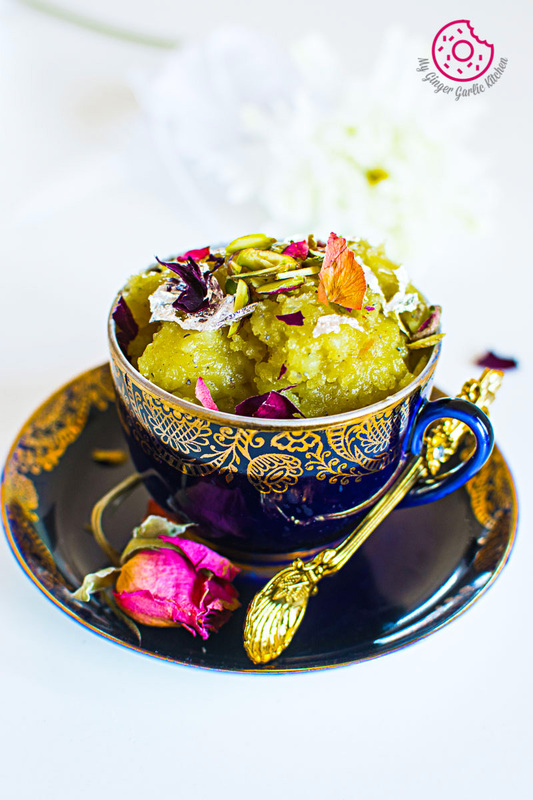 Aloo ka halwa or Potato Halwa is a sweet dish made using boiled mashed potatoes, ghee, and sugar. 1. Heat ghee in a non-stick pan. 2. Add boiled, peeled and mashed potatoes. 3. Sauté on low heat for till this turns slightly golden in color. 4. Add milk, sugar, cardamom powder and mix well. There should not be any lumps. 5. Stir continuously until halwa turns dry. 6. Add chopped almonds, chopped cashews, and chopped pistachios. 7. Mix well and cook for 1 more minute. 8. 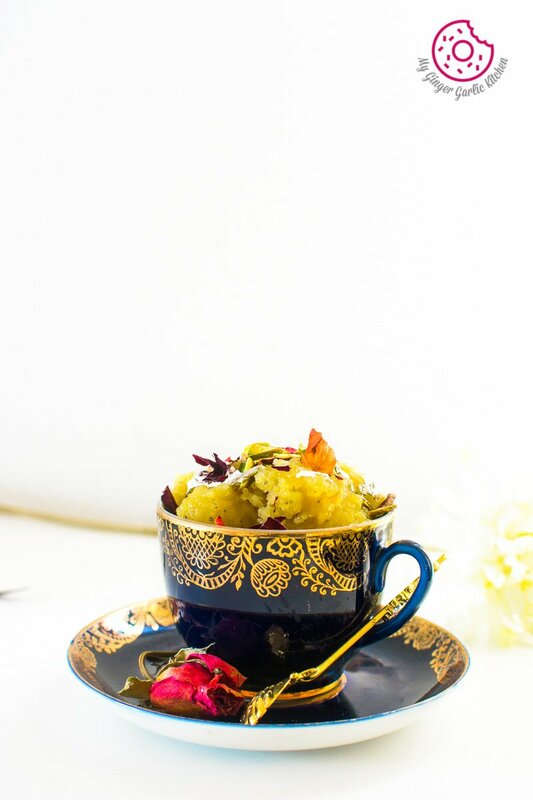 Garnish with nuts and rose petals and serve hot.